This is my first book that is written by Ray Bradbury. Its a collection of short stories. 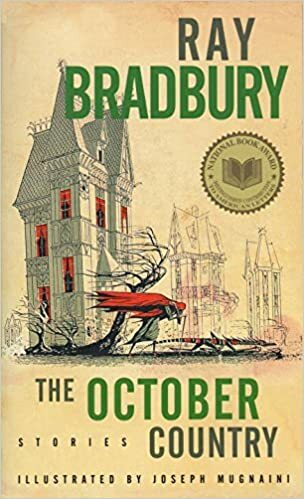 Before I tell more about the book, let me tell you guys that after reading this Ray Bradbury has mad his place as one of my favorite writers. This is a collection of 19 macabre short stories. Each story is disturbing in its own way. Now while I was about to buy this book I had all those feelings like whether this book is worth it or not and if its as good as the reviews it has got. And then when I read this book I realized that I should have purchased this book a long while ago. It has got all those harsh realities of life. Like there is a story in this book, ‘The Dwarf,’ it is pretty unsettling. I mean it shows the way a person, a dwarf, is discriminated in the society and the ending of this story is pretty good. I won’t tell you how it ends, because it takes all the fun away. My favorite stories in this book are The Dwarf, The Lake, Skeleton and The Crowd. These all are really creepy, at least that is what I felt. So If you are thinking of buying this book or if you come across this book, I would say go ahead and read it. It will give you hours of fun. Thank you for reading this post. I would like to hear your opinions in the comments section below. Do share this post as it helps me a lot. And thank you once again. Is this the same Farentheit 451 Ray Bradbury – read that next its great! I have heard about Fahrenheit 451 and I have heard that it is good. I will read that next. Well you can always try. Sounda interesting. I dont read as much as I used too. But definitly may check this out.